Naturopathy (also referred to as Naturopathic medicine) is a holistic approach to health and wellness, with a key focus on the healing power of nature. The role of a naturopath is to identify the underlying or root cause of presenting ailments, and facilitate the body’s natural ability to heal itself with the aid of herbal medicines, nutritional support and lifestyle adaptations. 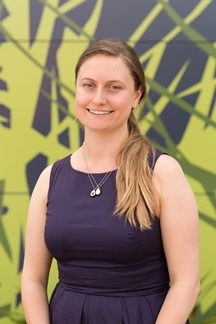 Sarah started her career in health and science, completing a Bachelor of Science in Microbiology. Pursuing her passion for natural health, Sarah went on to complete a Bachelor of Health Science in Naturopathy. As a naturopath, Sarah works with you to identify the underlying cause of your presenting condition or symptoms. Treatment plans are individually designed for your health needs, incorporating the latest clinical research in nutrition and herbal medicine. Sarah is an advocate for the food as medicine philosophy and an enthusiastic foodie. She loves teaching her clients about the medicinal qualities of food and how to best enjoy them — green smoothies optional. In addition to dietary advice, Sarah may also prescribe personalised herbal medicine tonics and nutritional supplements to provide extra healing support. Lifestyle advice is always practical and attainable. Another key aspect of Naturopathic medicine is preventative healthcare, so you don’t necessarily need to be unwell to see a Naturopath. Maybe you just want to fine tune your eating habits or learn how you can improve your level of wellbeing. Total Health’s Naturopath, Sarah Woolner has completed extensive training in health science, nutrition and herbal medicine to obtain a BHSc (Naturopathy), and is a registered member of NHAA. Currently in Australia, Naturopathic medicine is transitioning towards a more evidence-based practice, that can be safely integrated with conventional medicine. Health fund rebates may be available for Naturopathic consultations, depending on your level of private health cover. 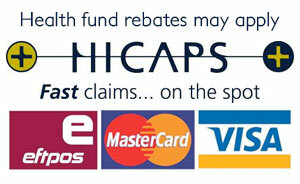 HICAPS facilities are available for on-the-spot rebate claims. "Together, we can identify the underlying triggers and incorporate practical strategies to rebalance your immune system, so that you can better manage your allergy symptoms."